Texas Central says plans for a bullet train in Texas are not impacted by plans to scale back a longer route planned in California. On Tuesday, California Gov. Gavin Newsom said the state's plans for a bullet train linking Los Angeles and San Francisco will cost too much and take too long to get rolling. He said the state would continue, however, to move forward with plans for a bullet train in the California Central Valley, where construction is already underway and where federal funding of $3 billion has already been granted. Texas Central, who is planning a 90-minute route from Houston to Dallas, said Wednesday the California project is different from their proposal in a number of ways, including not only the funding -- the California project is being paid for by the government whereas Texas Central is privately equity -- but in the project scope and complexity. For example, Texas Central said the California project was to span 520 miles from LA to San Francisco and would have cost and estimated $98 billion. Of that cost, $20 billion alone would have been used to build tunnels -- the cost of which exceed the entire expected $12 billion cost of the 240-mile Houston-to-Dallas run. "We fully understand the complexities of the California high-speed rail project and the drivers that have led to the decision issued yesterday. It is important to contrast both the physical facts that make our project different, as well as the government versus private approach to building such large-scale infrastructure," said Texas Central CEO and President Carlos Aguilar. Meanwhile, Texas Central continues to move forward with plans to launch service in the next few years. Earlier this month they announced a partnership with Resource Environmental Solutions to manage "green infrastructure" projects along the proposed route. According to Texas Central, the company, "will oversee plans to comply with US Army Corps of Engineers’ (USACE) requirements that the project restore, enhance and preserve wetlands, streams and environmentally sensitive habitats along the train’s route between Houston and North Texas." 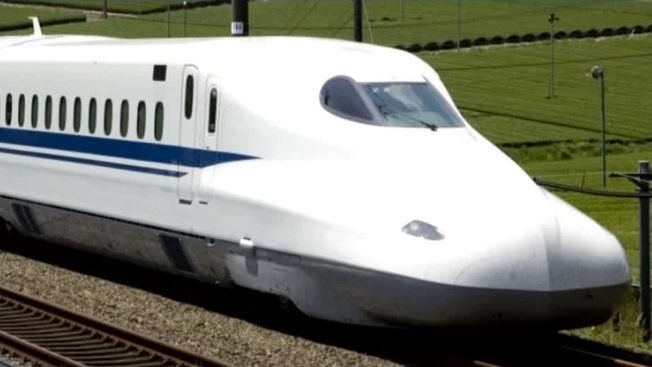 Texas Central said on their website they hope to begin construction of the high-speed rail line later this year.